SOUQ, one of the leading online retail and marketplace websites in the Middle East has announced the launch of ‘Amazon Global Store’, which offers customers in the Kingdom of Saudi Arabia (KSA) the ability to shop for over 1 million products from Amazon in the United States. On Amazon Global Store, customers can now enjoy a wide selection from categories such as apparel, handbags, shoes, watches, kitchen, home goods, and many more from popular loved brands. 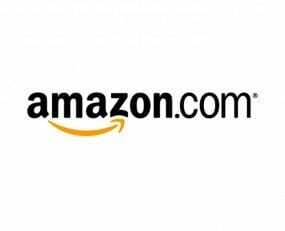 The dedicated Amazon Global storefront is available on both SOUQ website and mobile app. Customers can shop in Arabic or English and pay in Riyals using their local credit cards or cash on delivery. Customers will see prices in Riyals inclusive of import fee deposits at checkout (where applicable) – without any unexpected fees added later. With Amazon Global Store’s hassle-free customs clearance, purchases are delivered direct to customers’ door steps. SOUQ offers two delivery options for Amazon Global Store, from click to delivery: priority (two to five business days) and standard (six to 10 business days). In addition, customers can speak directly with SOUQ’s customer service team in English or Arabic for any queries they might have related to the products and can generally return products for a full refund within 30 days, in most cases.